I made both yellow and pink bunny peeps. 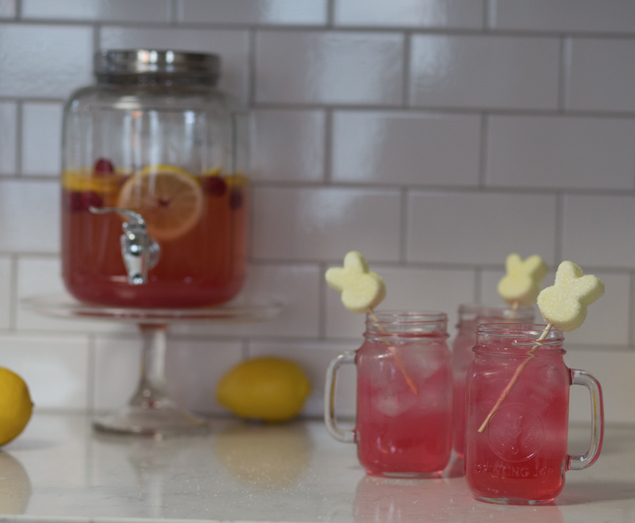 I used the yellow ones for the lemonade and displayed the pink ones on a bed of sugar on the table. This recipe will absolutely make your Easter Brunch so click the link below for the recipe. 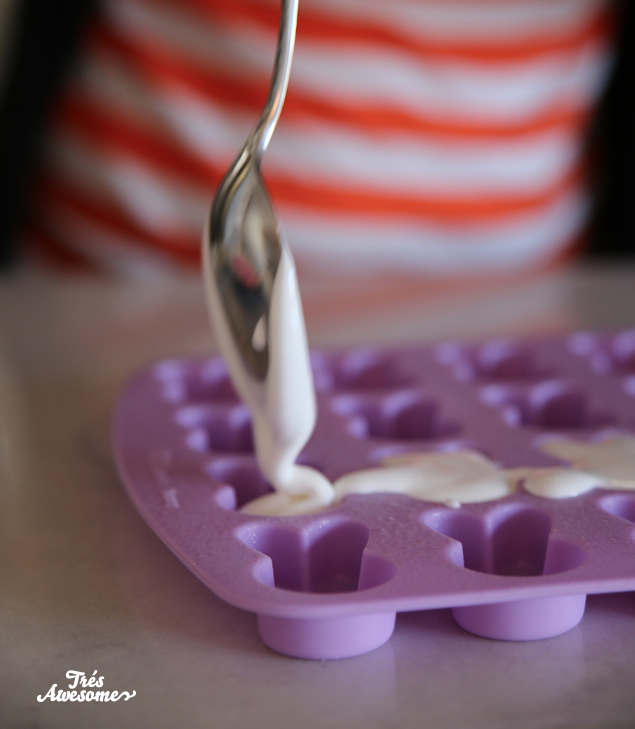 Coat the silicone mold with cooking spray and put aside. If you want the fine sugar coated consistency of the store bought peeps you can create your own colored sugar from normal cane baking sugar. 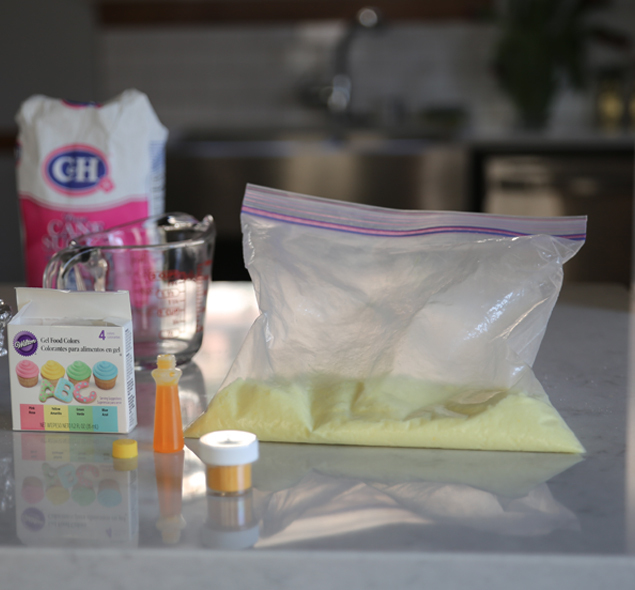 To do this, put two cups of sugar in a heavy duty ziplock bag and add food coloring (if making yellow use 10 drops, if pink 3 drops). 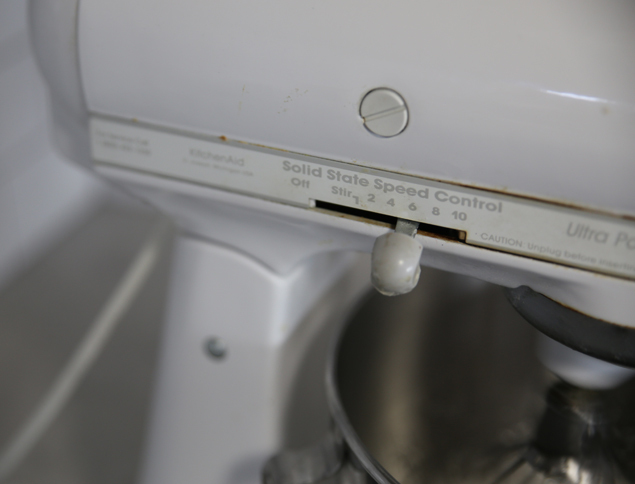 Shake vigorously for 10 minutes, making sure there are no lumps. 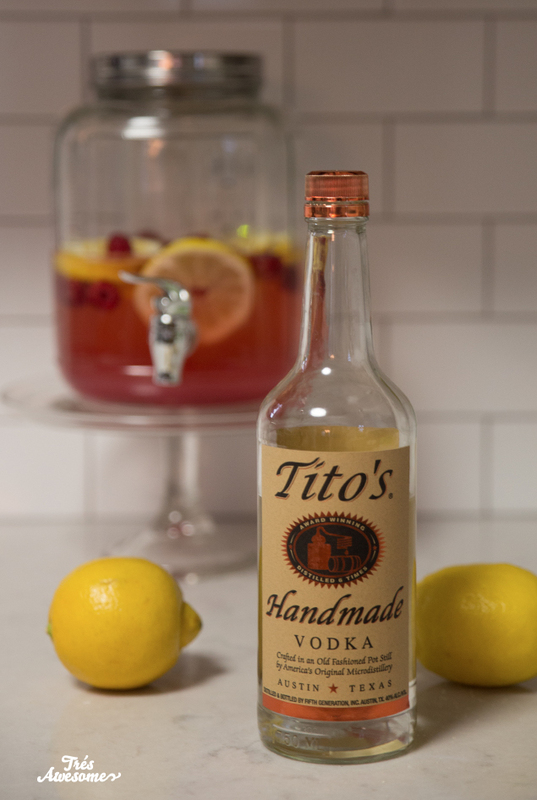 For a more sparkly and crunchy consistency skip this step and just buy a couple of bottles of the colored sugar of your choice. Take 1/4 cold water and put it in your mixing bowl. Sprinkle the gelatin on top and let it set while you move on to the next step. Whisk 1 cup sugar and 1/3 cups water over medium heat in a small sauce pan. 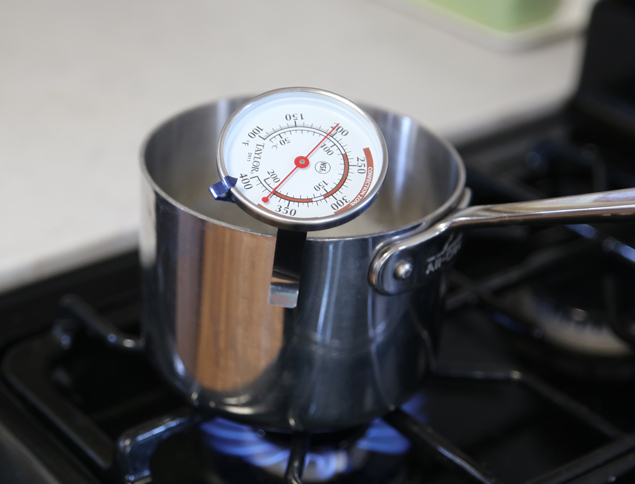 Once it's combined stick your candy thermometer on the side, turn the heat up to high and wait for it to get up to 238 degrees. 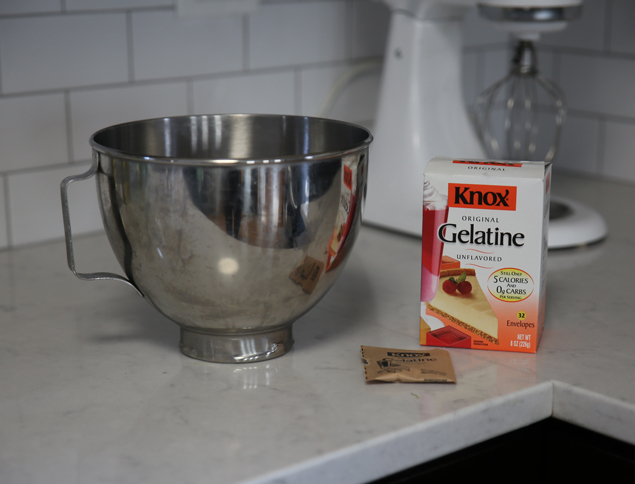 Carefully take your boiling sugar mixture and pour it in to your mixing bowl with the gelatin in it. Whisk by hand for a minute till it cools a bit then put it in your mixer on medium high for 6-8 minutes until the marshmallow mixture turns white and barely holds a peak. Don't over beat or else it will be too hard to go into the mold. Now work quickly and spoon the marshmallow into your bunny form. You only have a limited amount of time before the gelatin sets. 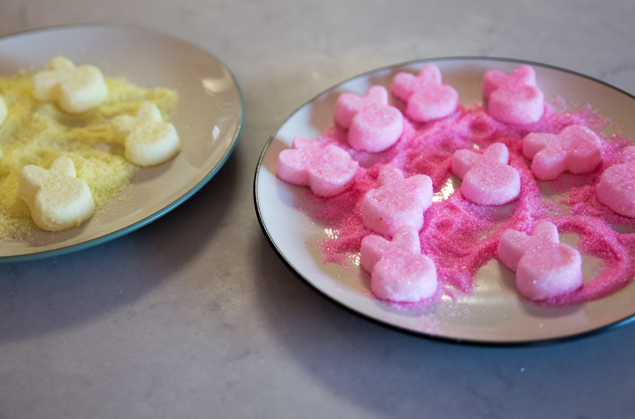 While you put aside the form for about 10 minutes while the marshmallows harden, put your colored sugar on a dish. 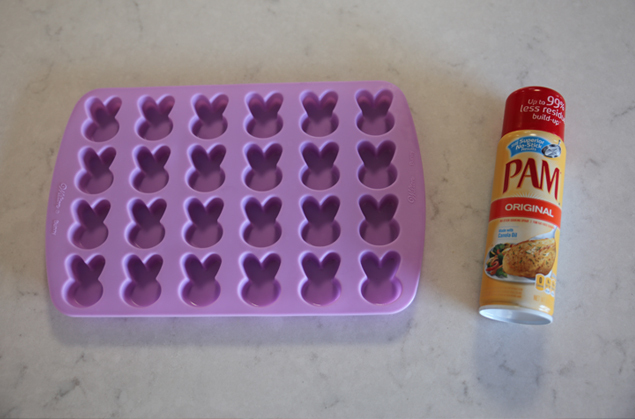 Grease your hands slightly before you remove the bunnies from the mold. 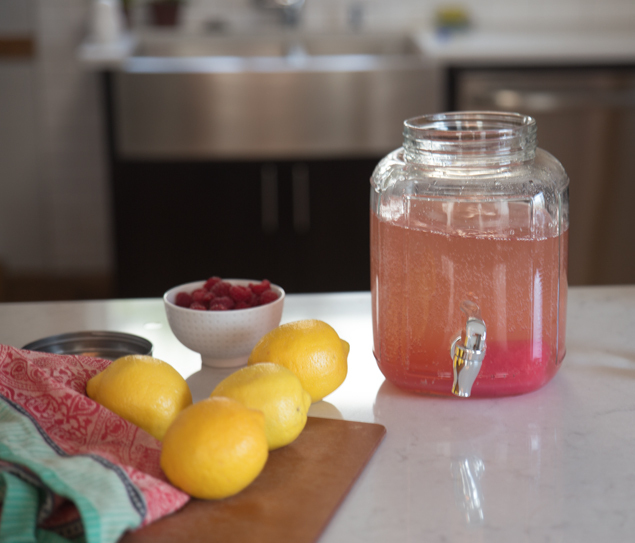 These mason jars with handles work great to give the drink a really classic feel, but you can use any old glass filled with ice cubes. The final touch is to take your wooden skewers and cut them in half and pop your peeps on top and stick them in your glasses. 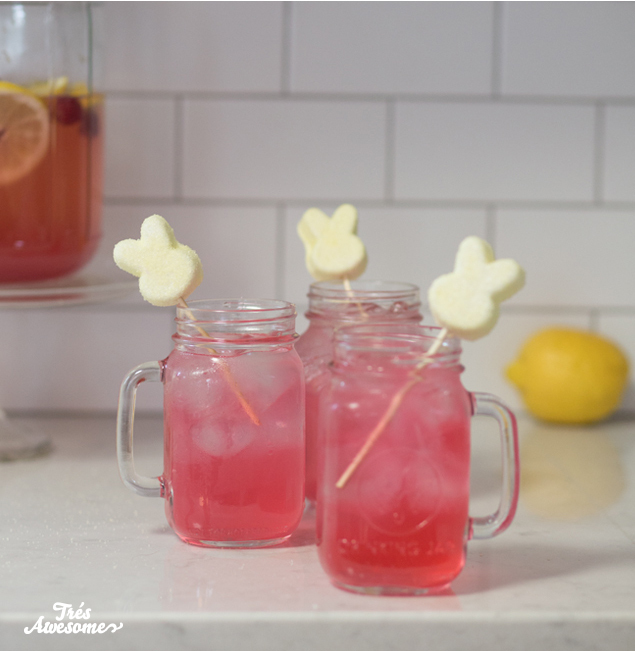 You can obviously make this recipe a lot simpler by just going to the store and buying some peeps, but where's the fun in that! 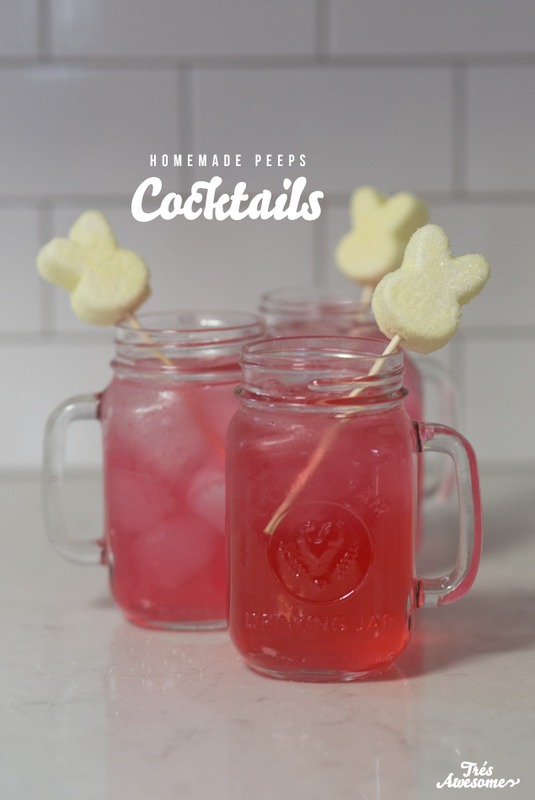 Also I must say the home made peeps are about 10 million times more delicious! 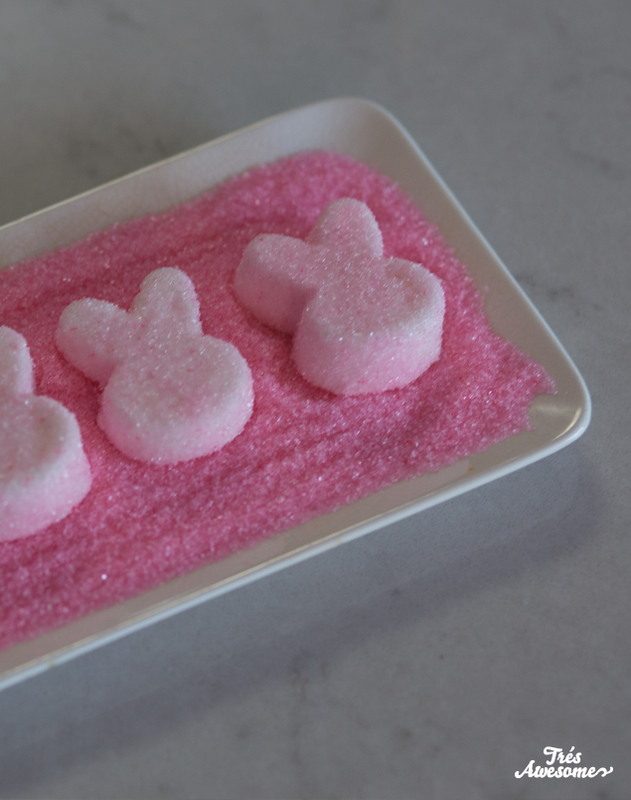 I adapted the marshmallow peeps recipe from Martha Stewart which you can check out here.